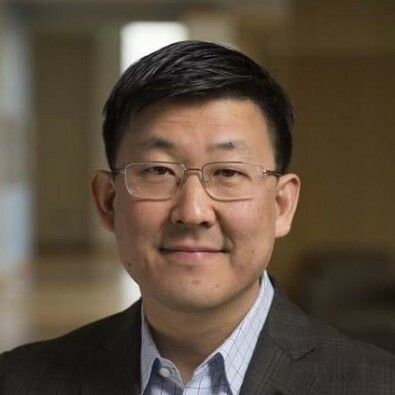 Dr. Jim Kyung-Soo Liew is an Assistant Professor of Finance at Johns Hopkins Carey Business School and revels in pushing the boundaries of financial knowledge and product development both as an academic and FinTech Data Scientist. He has published pioneering research in the intersection of social media big data and financial markets. He currently teaches "Big Data Machine Learning," "Advanced Hedge Fund Strategies," and "Leading Entrepreneurship and Innovation" at the Johns Hopkins Carey Business School. Additionally, he serves as the Chairman of the Johns Hopkins Innovation Factory and has received the Dean’s Award for Faculty Excellence 2015-2017. He also serves on the Editorial Board of Journal of Portfolio Management and co-authored the most read Invited Editorial "iGDP?". He owns and operates SoKat Consulting, LLC (www.SoKat.co). SoKat creates world-class Machine Learning / AI products and services primarily servicing large hedge funds, government agencies, academic institutions and select-startups. SoKat unlocks the hidden value of data through thoughtful and creative solutions, comprising of actionable business intelligence, transparent data analytics, and bold predictive modeling. Previously, Jim has been with the Carlyle Asset Management Group, Campbell and Company, and Morgan Stanley. He holds a BA in Mathematics from the University of Chicago and a Ph.D. in Finance from Columbia University. “Forecasting ETFs with Machine Learning Algorithms,” Liew, J. and B. Mayster, The Journal of Alternative Investments, Winter 2017. “Do Tweet Sentiments Still Predict the Stock Market?,” Liew, J., and T. Budavari, forthcoming Alternative Investment Analyst Review. “Tweet Sentiments and Crowd-Sourced Earnings Estimates as Valuable Sources of Information around Earnings Releases,” Liew, J., Guo, S., and Zhang, T., The Journal of Alternative Investing, Winter 2017, Vol. 19, No. 3, pp.7-26. “Twitter Sentiment and IPO Performance: A Cross-Sectional Examination,” Liew, J. and Wang, G., Journal of Portfolio Management, Summer 2016, Vol. 42, No.4, pp.129-135. “Is It Possible to OD on Alpha?,” Kakushadze, Z., and Liew, J., Journal of Alternative Investing, Fall 2015. “Customized vs Standardized Risk Models,” Kakushadze, Z., and Liew, J., Risks, 3(2), 2015. “Initial Investigations of Intra-day Company News Flow of S&P500 Constituents,” Liew, J., and Zhechao, Z., Risks, 2(2) 2014. “Spot Commodities as Inflation Protection,” Crawford, G., Liew, J., and Marks, A., Journal of Wealth Management, 2013. “Evidence of Momentum in Newsletter Recommendations,” Crawford, G., Krause, A., and Liew, J., A., Journal of Alternative Investments, 2013. “US Mean-Reversion Examined,” Liew, J., and Roberts, R., Risks, 1(3), 2013. “Investing Under Inflation Risk,” Crawford, G., Liew, J., and Marks, A., Journal of Portfolio Management, Spring 2013. “Institutional-Grade Risk Management Policy: Is it Possible in Practice?,” Liew, J., and Halpern, J., Invited Editorial for Journal of Portfolio Management, Spring 2012. “Quantitative Topics in Hedge Fund Investing,” Liew, J., and French, C., Journal of Portfolio Management, 2005. “Hedge Fund Index Investing Examined,” Liew, J., Journal of Portfolio Management, 2003. “Bifurcated Fund Analysis Model,” Liew, J, Mainolfi, F, and Rubino, D, MFA Reporter, November 2002. “Can Book-to-Market, Size and Momentum Be Risk Factors That Predict Economic Growth?,” Liew, J. and Vassalou, M., Journal of Financial Economics, Volume 57, Issue 2, August 2000. “Hedge Funds versus Managed Futures as Asset Classes,” Edwards, F. and Liew, J., Journal of Derivatives, Summer 1999. “Managed Commodity Funds,” F. Edwards and Liew, J., Journal of Futures Markets, Volume 19, No. 4, 1999.